This unusual beautiful betel container is designed to be worn suspended from the neck. It opens at either end. A shallow compartment at one end is for lime. It still contains lime residue. The other, deeper compartment at the other end is for holding paan (betel). 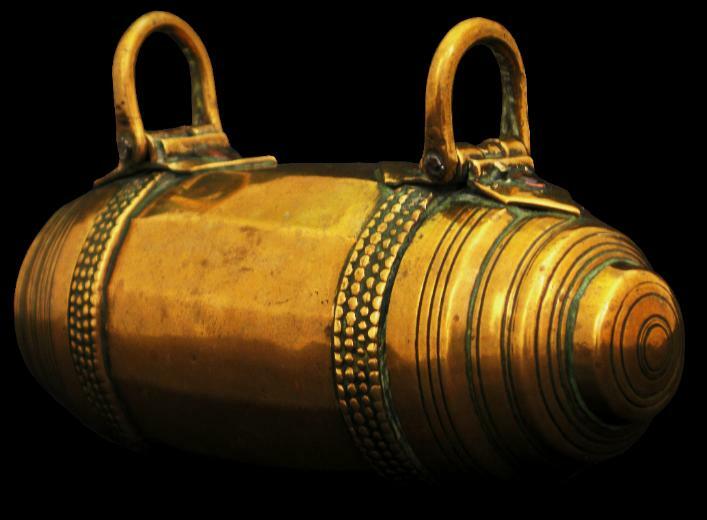 Its form, which is rarely encountered,mirrors the much larger mridangam drum that is similarly worn. 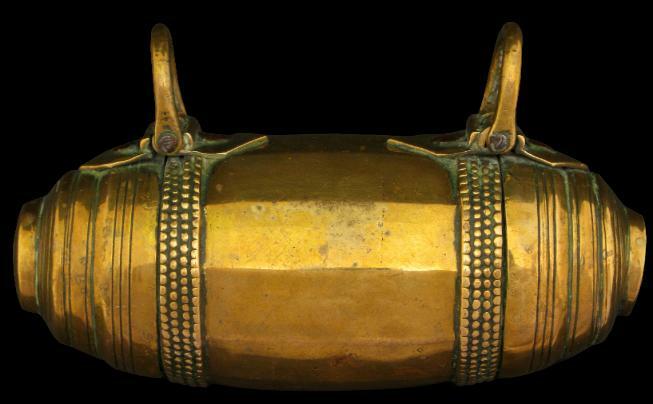 mridangam (pronounced ‘mur-dung-ughm’) is a two-headed, double conical-shaped drum used in southern India, particularly in Karnataka, in classical Karnatak music. It is played with the hands, fingers and palms. This betel box has a lovely warm colour and patina. The edges have been softened from many years of use.